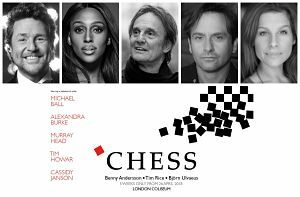 With rehearsals starting this week, the full cast has now been announced for Chess the Musical which is due to run at the Coliseum for the first time in 30 years for five weeks only from 1st May until 2nd June 2018, with previews scheduled to begin on April 26th . 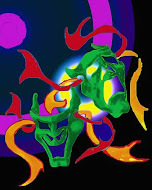 This new West End production, featuring English National Opera’s award-winning Orchestra and Chorus, will be directed by Laurence Connor with choreography by Stephen Mear. The production will feature a 48 piece orchestra with principal casting including Michael Ball starring as the Russian Anatoly Sergievsky with X Factor winner Alexandra Burke as Svetlana Sergievsky, with Tim Howar (Rock of Ages, co lead singer of Mike and the Mechanics) as Frederick Trumper, Cassidy Janson (Beautiful & Leading Ladies) as Florence Vassy, Phillip Browne (The Lion King) as Molokov and Murray Head as the Arbiter (having originated the role of Frederick in the show's 1986 West End premiere). Joining them will be Sabrina Aloueche (first cover Florence) Robin Bailey, Sarah Bakker, Jeremy Batt, Kimberley Blake, Sophie Camble, Cellen Chugg Jones, Jordan Lee Davies, Jonathan David Dudley, Richard Emerson, Callum Evans, Chris Gage, Matt Harrop, Jack Horner, Stevie Hutchinson, Nicholas Lee, Sinead Long, Robbie McMillan, Jo Morris, Jennifer Robinson, Jo Servi, Alexandra Waite-Roberts, Carrie Willis, Stuart Winter, Chris Gardner, Matthew Walker and Joe Watkins.